Whether you run a small business or make craft items it’s important to put your own branding on the items you make and adds a special finishing touch. 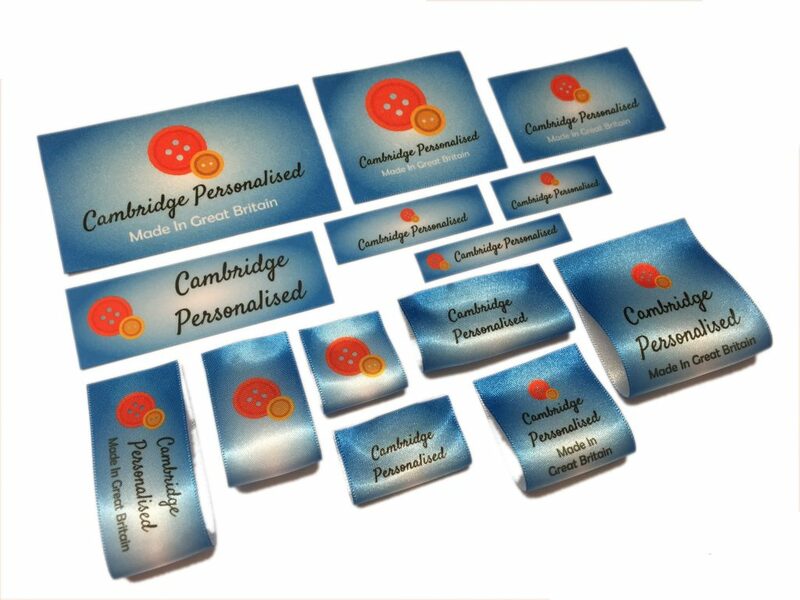 You may only want your name and/or contact details, a logo of your choice printing and then additional contact/ordering information on the reverse and this is something we can help you with. We can also help put a design together for you if you let us know what you have in mind. We can print virtually anything onto a satin ribbon and in different sizes e.g. 10mm or 25mm, however, 25mm is best suited for larger logos that aren’t just text but of course, this needs to be suitable for the item you are attaching it to also. Logos need to be clear and good quality, as this reflects how they look when on the ribbon itself. Our printing process doesn’t use the common thermal printing method and this means your logo etc won’t fade or disappear from the ribbon even if the item it’s attached to is washed many times, in fact, you can wash our satin ribbon labels in both bio/non-bio washing detergent and very hot temperatures 100c+ with no adverse effects. Before making any logo printed satin ribbon labels for you we always send you a preview first and ask for your approval, once we know you are happy with the design we will start production which is usually the same day, all ribbon labels are then safely packed and sent via a fast shipping service which is important if you make your own items or have an existing business and need to get products listed for sale etc. Your design is also saved, so in the case of future re-ordering that isn’t a problem either, this means you will receive exactly the same labels so quality and consistency are guaranteed. We also cut and heat seal each ribbon label, this saves you time and stops unwanted fraying, there is also enough room or one or both sides depending on the size you choose to sew in your ribbon. The ribbon material we use is high quality, durable and super soft double sided and this gives a luxury feel to your ribbon labels. If you would like to find out more about our logo printed satin ribbon labels please use the links below and we will be happy to help you.